Due to technical difficulties, audio and video of this sermon is not available at this time. We hope to rectify this problem shortly. Until we get the sermon up in its entirety, let these points remind you of our discussion yesterday. The Unity of the Church reflects that God is Unity and Trinity. God is the Eternal Three-In-One. Forever One God in Three Persons. Church Unity is derivative of God's Unity. The Unity of the Church reflects that God is MISSIONAL. God is the Missionary, as God the Father sends God the Son in the power of God the Holy Spirit to save and rescue and recreate human beings and all of Creation. The Church is United by a common Hero, a common Rescue, and now a Common Mission to rescue and save lost human beings. The Unity of the Church reflects that GOD IS LOVE. For God so loved the world that he SENT his only Son. A Missionary God is the only God. God the Father loves God the Son and God the Holy Spirit, and together they love humanity, by embarking on a daring rescue mission. Our love for one another makes it possible for hurt people to believe that a Loving God could exist. So, we must be united. We must be One. We must wrestle with one another rather than run away from one another. 1. We cannot argue over insignificant stuff like paint colors, dinner menus, or A/C temperatures. 2. We cannot keep jumping churches every time offense is given or taken. Friction is one of the tools God uses to shape us. We cannot grow without roots, and roots take time embedded in the soil. 3. We must try to forgive. We must work at it, and when it's not easy, we must work to get help from the leaders in the congregation and from our friends. We must try with all our might to work towards making amends, and destroying resentment. 4. We must protect one another's reputation by refraining from gossip. This sermon series includes a weekly Bible Reading Plan. Each week we read in preparation for the sermon coming next week. 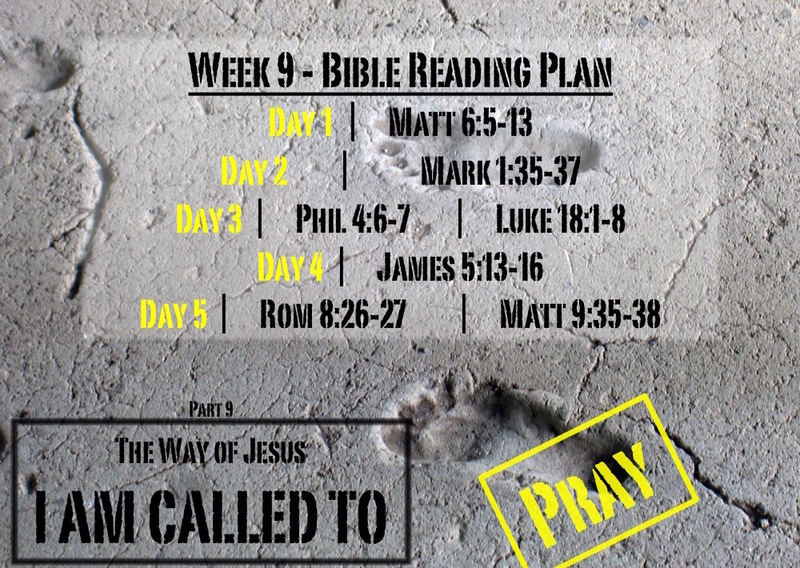 Next week we will discuss The Way of Jesus - I am called to PRAY, so this week we will be reading about unity and reconciliation using this WEEK 9 READING PLAN. Tips and suggested questions available on the PDF. Posted in Sermons and tagged Church Unity, Forgive, Forgive Us our Sins, God is Love., God is Missional, God is Trinity, I am Called to, Seek Unity, The Church is One, The Way of Jesus.